When it comes to window treatments, shutters are in a league of their own. Yes, plantation shutters can be expensive, but it is not like you are throwing your money into bottomless pit. 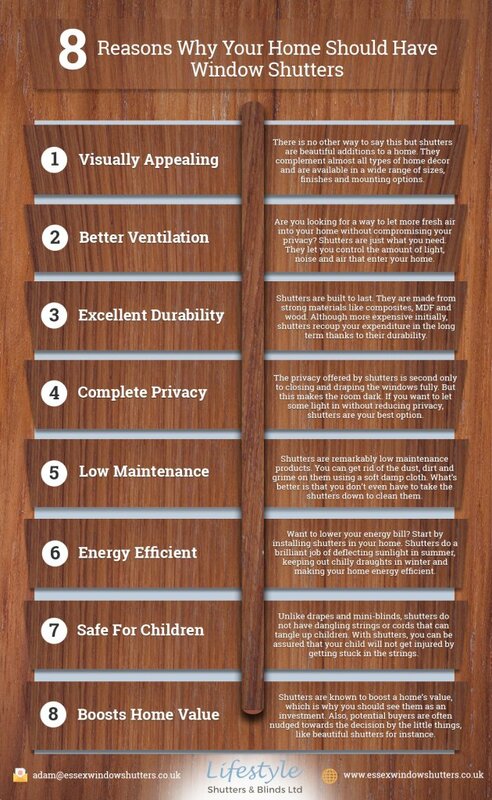 There are numerous advantages to getting shutters for your windows (and doors, if possible) and every one of these benefits merits the price you pay for them. For many, the aesthetic appeal of shutters itself is worth paying a premium for. Unlike blinds, drapes or other types of window treatments, shutters look good with almost any home décor. What helps the cause further is that you get to choose from an extensive range of shutter sizes, finishes and mounting options. But it is not about beauty alone. Window shutters have a number of practical uses too. For instance, they help get more fresh air into your home. However, this happens without compromising your privacy. Shutters are also excellent at obstructing outside noise. And while you can achieve complete privacy by shutting your windows and draping them over, it would also make your room dark. Shutters, on the other hand, ensure illumination and privacy do not remain mutually exclusive. Also working in favour of shutters are the fact that they are low maintenance and have high durability. Cleaning a window shutter is as simple as wiping it with a damp cloth to get rid of all the dust and grime. And unlike drapes or even blinds, you can clean shutters without dismounting them. Shutter blinds are also exceptionally durable. That is because they are made from sturdy materials like wood and composites. And while this does contribute to their high cost, shutters more than make up for it by lasting for a long time. A less recognised benefit of shutters is that they make your home more energy efficient. How do they achieve this? For starters, wooden shutters are very good at keeping a room from getting excessively hot in summers. Likewise, shutters keep chilly draughts at bay in winters. Consequently, you end up spending lesser energy to keep your room cool in summers and warm in winters. If you are a family with young children, you are going to be thankful for the string- or thread-less design of window shutters. Because children being children often find themselves tangled in these dangling cords and can get injured as a result. Perhaps the icing on the cake is that installing shutters increases your home’s market value. So it is safe to consider them as an investment that gets you a return rather than an outright expense. 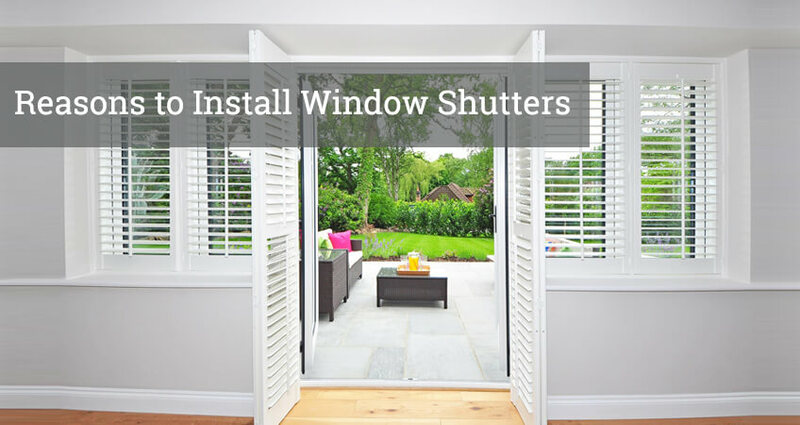 If you’d like to know more about window shutters and how to install them in your home, get in touch with us today. Lifestyle Shutters & Blinds offers a wide variety of shutters made from various materials and can help you choose a shutter that complements your home décor perfectly.